With persistently high fertility and more than half of its people under age 18, Malawi’s population is growing rapidly and expected to reach 15.7 million by 2015. Although maternal mortality has declined, it remains high. High rates of HIV show no signs of leveling off -- one factor in Malawians short life expectancy. 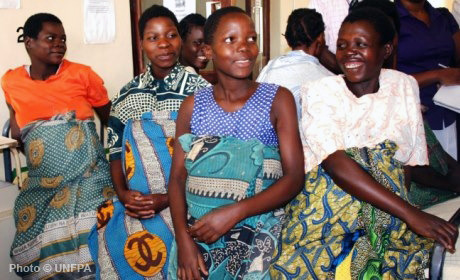 Since 1979, UNFPA has been working with Malawi to improve reproductive health, prevent HIV and other sexually transmitted infections, and promote gender equality and the empowerment of women. It is also working with the government to incorporate population dynamics in development planning.